Bulletin for Trinity Sunday. Should we sing at Mass? Music Director Greg Buchberger addresses this question. Also, information about the Diocesan event honoring people married more than 50 years and our parish 60th anniversary celebration. Plus, just what is a Deacon? 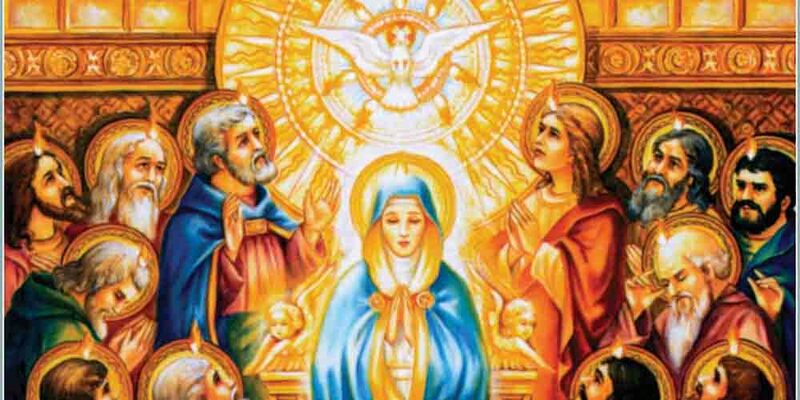 Bulletin for Pentecost Sunday Pope Francis has declared a new feast day in the Roman Catholic Calendar honoring Mary as the Mother of the Church.